Before Jennifer Bashoor moved with her parents from Florida to Spokane during her junior year of high school, she had never been farther west than Kansas. 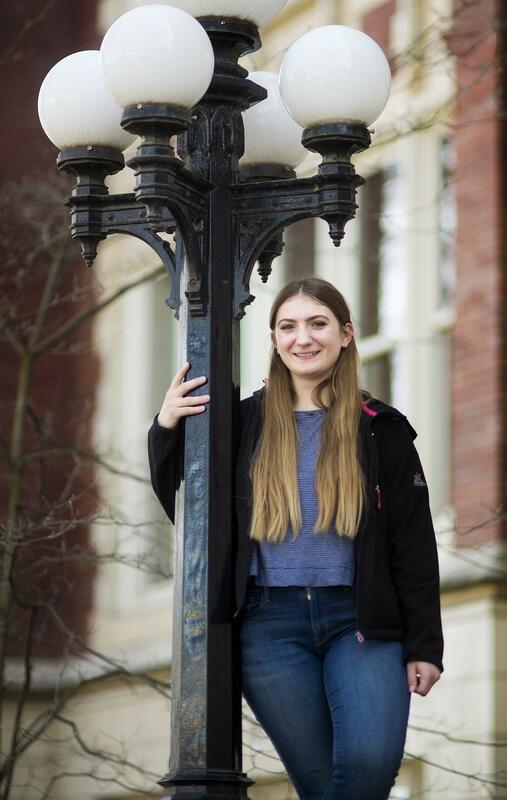 Leaving the life she knew was scary, but her fears quickly subsided once she enrolled at Lewis and Clark High School. Because Bashoor moved in October 2014, she had to wait until the second semester to start school. That meant she had some catching up to do academically. Brian Spraggins, Bashoor’s guidance counselor her junior year, said Bashoor is a strong student who wanted to challenge herself beyond catching up. She took eight classes that first semester, including two Advanced Placement classes. “She’s relentlessly positive and hardworking and faced the immensity of what she had to do with a positive attitude and just dug in,” Spraggins said. This year, Bashoor took another eight classes, four of which were AP. Bashoor is headed to Eastern Washington University in the fall and would like to study nursing. In the last year, she started to feel a calling to enter the medical field since she loves to help people. She decided to volunteer in the Deaconess Hospital emergency room to see what it’s like. Spraggins said the way Bashoor cares about people will make her wonderful for the medical field. Also passionate about ice skating, Bashoor is a member of the Lilac City Figure Skating Club. She is working on testing through the U.S. Figure Skating levels and has a goal of reaching the senior level, which is the highest level. In April, she tested into the juvenile level for moves in the field. Spraggins said he enjoys how Bashoor is passionate about each activity she is involved in. Bashoor said she is grateful for the support she has received from Spraggins. She’s also thankful for LC’s teachers, who have set students up for success by encouraging them to work hard. At the same time, she said, the school has provided a loving environment and taught students how to treat one another well.